The following are recent books Dr. Irving has written. They are available locally at various bookstores including Indigo, The Bob Miller Book Room, The University of Toronto bookstore, and online at the various links below. 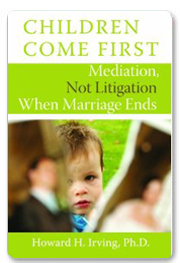 * how parents can put their children first during and after their divorce. Children Come First is written in a reader-friendly style with case studies, charts, and diagrams, as well as illustrations from the author's renowned practice. Ultimately, this book takes parents through the process of building a shared parenting plan that places their children's interests uppermost while still addressing the parents' unique situations and needs. Therapeutic Family Mediation is a practice-based text grounded in a therapeutic family mediation (TFM) model created by the authors. This is the first comprehensive treatment of the model, complete with clinical examples and practice strategies. The authors include a detailed review of the model's five stages, accompanied by a discussion of theoretical underpinnings, practice techniques, the mediation of parenting and financial plans, the importance of cultural diversity, and research trends based on a thorough review of the literature. 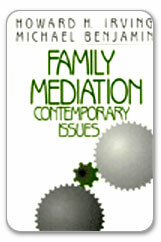 Contemporary issues associated with family mediation in the 21st century are employed to illustrate the model in action with a full-length case presentation. 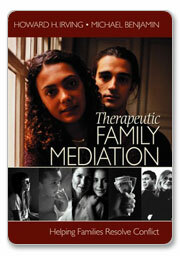 Designed as a practical hands-on manual or text for students and professors of social work, Therapeutic Family Mediation will also prove highly useful to mental health practitioners, legal professionals and mediators, couples going through divorce, and community workers specializing in family services. Family mediation has quickly become a significant means of legal dispute resolution, recognized in most North American jurisdictions as a relief to already overburdened judicial systems. Using an innovative practical approach, the authors of Family Mediation incorporate the pivotal principals of family therapy into this new context - the judicial realm of family mediation. The practice model - therapeutic family mediation - thoroughly treats history specific issues, and practice in an eco systemic approach and responds to the feminist critique of mediation. 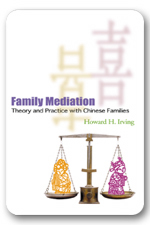 This is the first book ever published to utilize a detailed structure of family mediation services for Chinese families.